Liverpool's £8.5m move for QPR striker Loic Remy has collapsed. The Merseyside club are refusing to comment on the reasons behind the deal falling through but it is understood there has been an issue with the 27-year-old's medical. Remy flew to the United States, where Liverpool are touring, on Monday. The Reds' bid had activated a release clause in the contract of the player, who last year scored 14 goals on loan at Newcastle United. They had planned to give Remy the number seven shirt and he had waited in the US for the best part of a week for the deal to be confirmed. The move will not be resurrected and Remy now faces the prospect of a return to QPR. 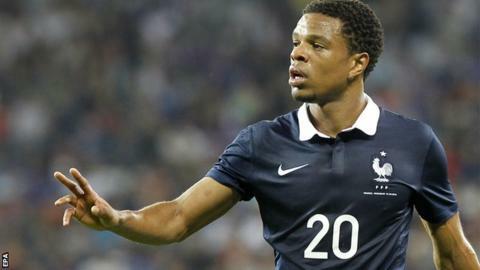 Remy was part of the France squad that reached the quarter-finals of the 2014 Fifa World Cup in Brazil, appearing as a substitute against Ecuador and Germany. He made 26 Premier League appearances for Newcastle last season but only played four of the final 11 games as he struggled with a calf injury. Remy moved to Newcastle on loan after QPR's relegation from the Premier League in 2013. Remy joined QPR during their last top-flight spell, making an £8m switch from French club Marseille in January 2013. He scored six league goals for the west London club but could not stop them being relegated that season. QPR regained their Premier League status at the first attempt by beating Derby in the Championship play-off final in May.